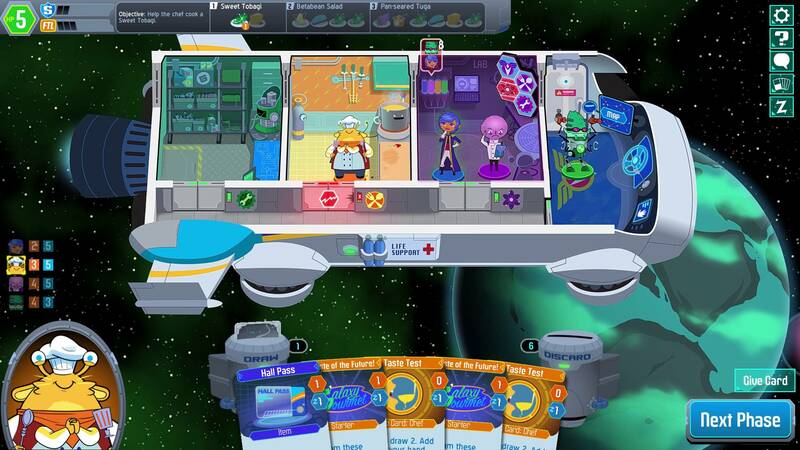 An interesting co-operative board game that makes players work together to become the best food truck in the galaxy, Space Food Truck is a pretty good game, but seriously lacks in tutorials and accessibility. The game provides all of it’s tutorials in an exterior manner, and while that’s fine if you’re by yourself and have time to just watch videos, in a multiplayer setting it leads to players needing to watch 25 minutes of video before they can even play the game, which is a right pain. The game itself is fun, but it doesn’t hold a whole lot to do, and past collecting more cards and building a larger deck, it doesn’t really have a whole lot of staying power.